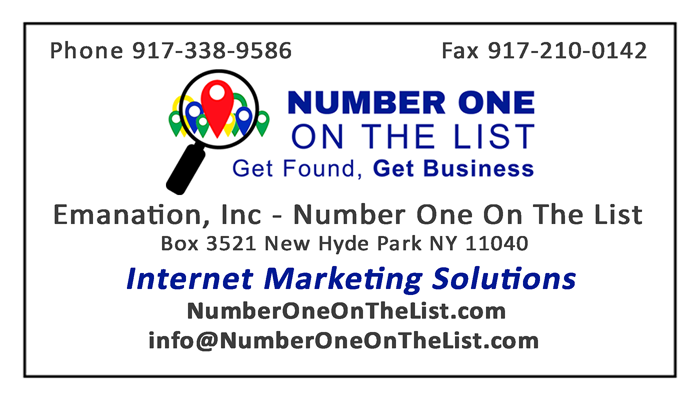 NumberOneOnTheList will research a useful business keyword search term for your company at no charge. Boost your internet marketing and promotion results, get more sales. A useful keyword is one that is high traffic and low competition so that you can endeavor to improve your search engine ranking for that keyword to page one of search results. Frequently, a useful keyword is a profitable niche within your industry. 0:04 all right, so, Tom Jacoby here, Number One On The List. 0:15 for your business for you. 0:21 you’ve done your surveying, you’ve done your marketing. 0:23 Your business identity is all worked out, you have your marketing campaign to go with. 0:32 where you want to come up, how you want to reach your market. 0:44 in new york, OK? 0:46 So we would locate that phrase for you: “professional website NY”. 0:50 Which you can then, you know, use in your marketing campaign. 1:16 too much competition so you can actually rise to the top of that, right? 1:19 So that’s the overall game plan, OK? 1:22 More about this soon. 1:23 Take a look at the special offer. Thank you.